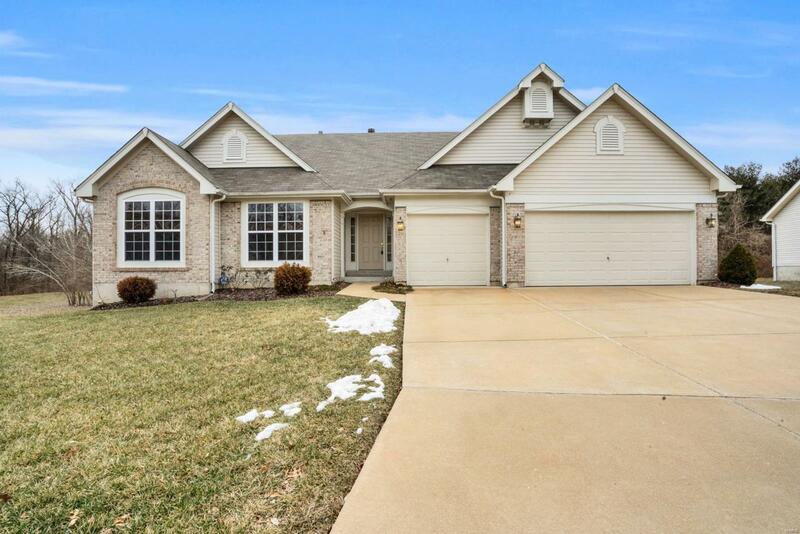 STUNNING Estates at Behlmann Farms home is now available in Florissant! 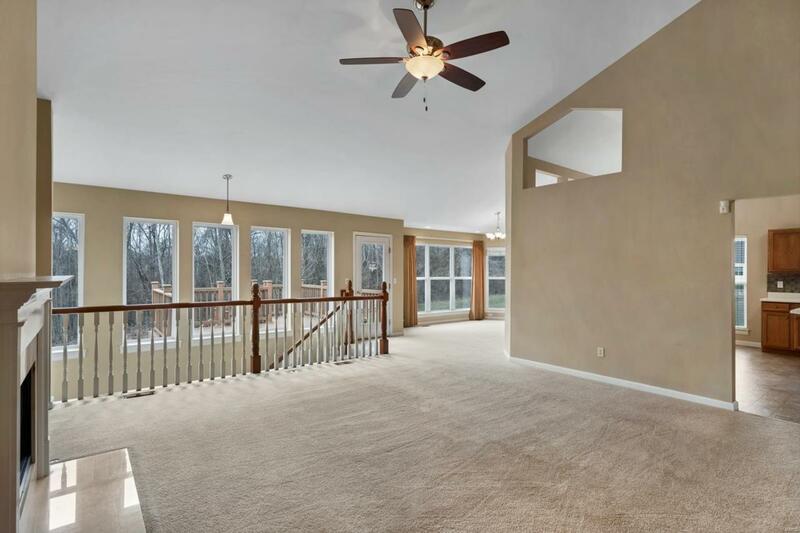 This atrium home features 3 bedrooms, 2 bathrooms & 2,245 square feet of living space. First floor features vaulted ceilings, gas fireplace & floor-to-ceiling windows! WOW! Kitchen comes equipped with large center island, SS refrigerator, separate desk area & tons of natural light! Main floor laundry & attached 3-car garage, too! Master suite offers vaulted ceilings, bay window & walk-in closet, complete with separate shower/tub & dual sinks in the master bath! Entertain in style by the stone fire-pit & patio, or relax on the composite deck overlooking large, flat yard. 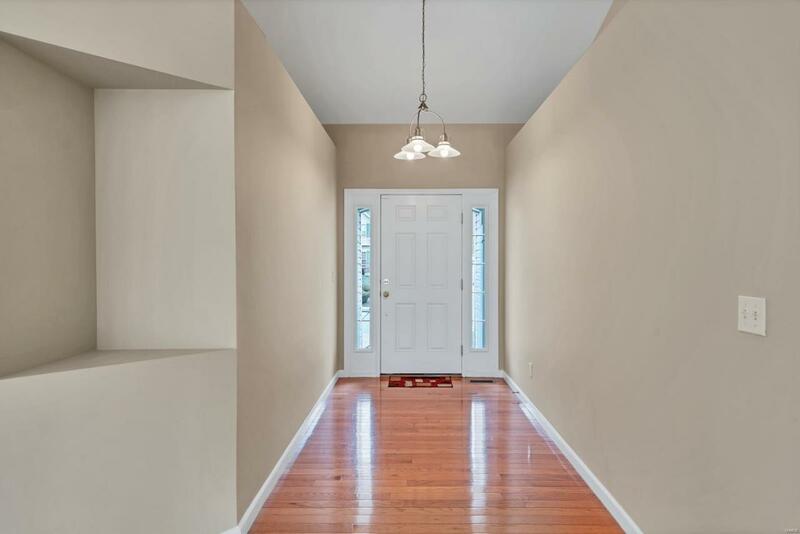 Downstairs you'll find a clean & dry walk-out basement w/beautiful epoxy flooring. Rough-in & windows in the lower level are ready for YOUR finishing touches! Roof only 2 years old! 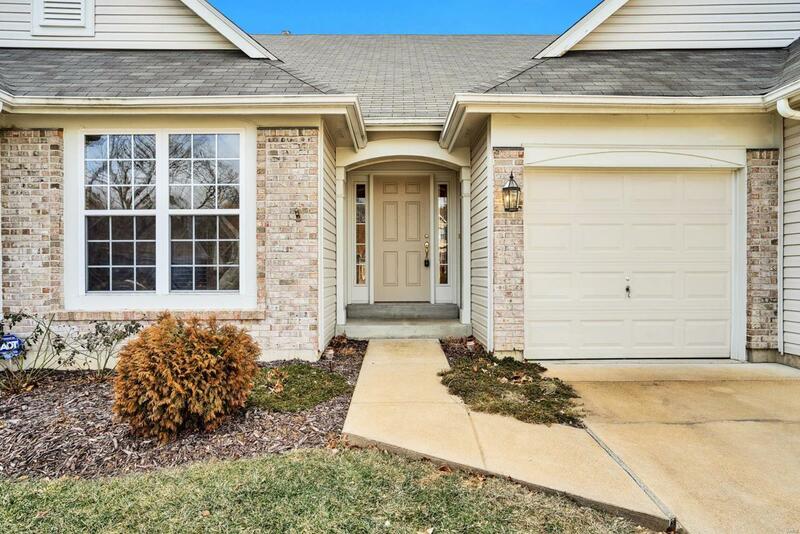 Located in the cul-de-sac of this newly built subdivision, this home has everything you're looking for! Schedule your showing TODAY!